Honeymoon is a special time when newlyweds celebrate their newfound relationship in seclusion. Known for its diverse geography and culture, India is one of the most sought after honeymoon destinations across the globe. From the lush green pastures of South India to the majestic Himalayas in the Northernmost region of the country, honeymoon destinations in India offer truly romantic and delightful experience to the couples. Andaman & Nicobar Islands are a group of islands located off the East coast of India in the Bay of Bengal. Andaman is amongst the most trending honeymoon destinations in India due to its exotic beaches, secluded islands, evergreen tropical rain forest, corals, fishes and so many wonderful activities. Port Blair is the capital and the hub for Andaman tours. Kerala, the God’s own country, is bestowed with natural beauty in abundance. The scenic hill stations, enchanting backwaters, cascading waterfalls, sandy beaches and exotic wildlife are the major attractions of Kerala Tourism. Kerala has been one of the top tourist destinations in India for a long time. Tall palm trees, delicious sea food, amazing beaches, creative architecture adds to the beauty of Kerala. Kochi is the main tourist hub for many Kerala tours and is among the best Honeymoon destination in India. There are plenty of popular honeymoon tourist attractions in Kerala that include Munnar, Alleppey, Kumarakom, Cochin, Kollam, Kovalam and Thekkady. Along with Kumarakom, Alappuzha is among the most famous destinations of Backwaters in Kerala as part of Kerala 6 day tour and Kerala 7 day trip. A houseboat cruise in these backwaters is a delightful experience. 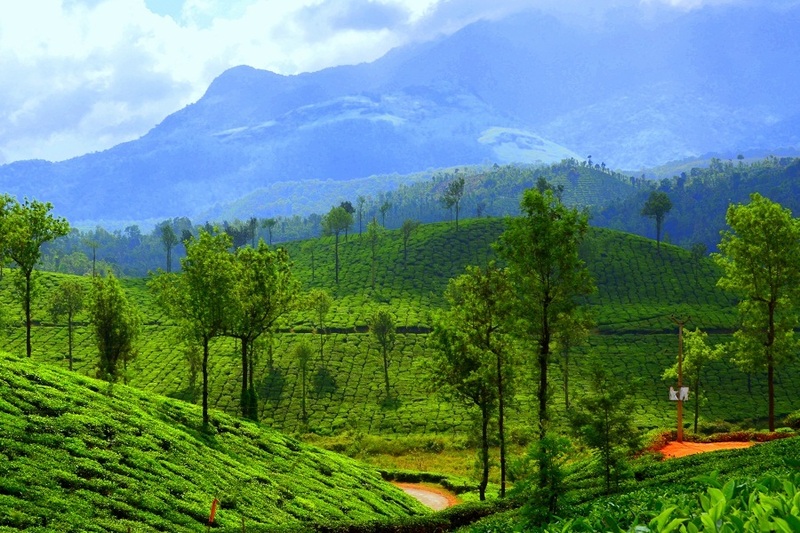 Munnar is one of the best summer getaways in India and also the most popular hill stations in Kerala. One can also enjoy the wildlife at Thekkady and Ayurvedic therapy at Kovalam. Goa is India’s smallest state located in the Konkan region and is one of the most popular tourist places in India. Renowned for its beaches, places of worship and world heritage architecture, Goa is one of the best honeymoon destinations in India. It is visited by large numbers of international and domestic tourists each year. 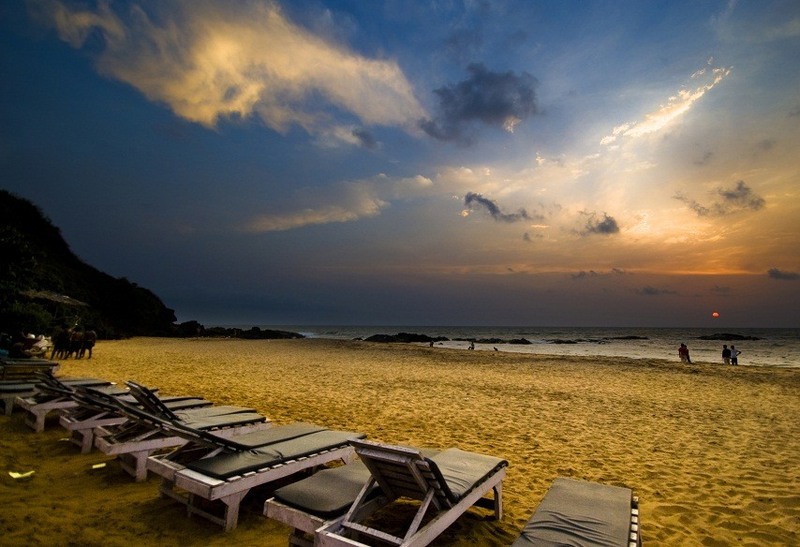 Known as the land of sun, sand and sea, Goa beaches are renowned as best beaches in India. The charming beaches, exotic culture and an outstanding backdrop, make Goa a perfect place for a romantic and sensuous honeymoon. Colva Beach, Baga Beach, Calangute Beach, Anjuna Beach, Vagator Beach, Dudhsagar Falls, Se Cathedral, Aguada Fort, Chapora Fort, and Sri Mangueshi Temple are the popular places as part of Goa 3 day tour and Goa 4 day trip. The famous Bom Jesus Basilica is part of UNESCO World Heritage Site (Churches & Convents of Goa) and is a must visit place in Goa Tourism Itinerary. It also has rich flora and fauna owing to its location on the Western Ghats range which is classified as a biodiversity hotspot. Visitors can enjoy the popular night beach parties, delicious sea foods, deep sea fishing, parasailing, and wind surfing during their Goa tour. 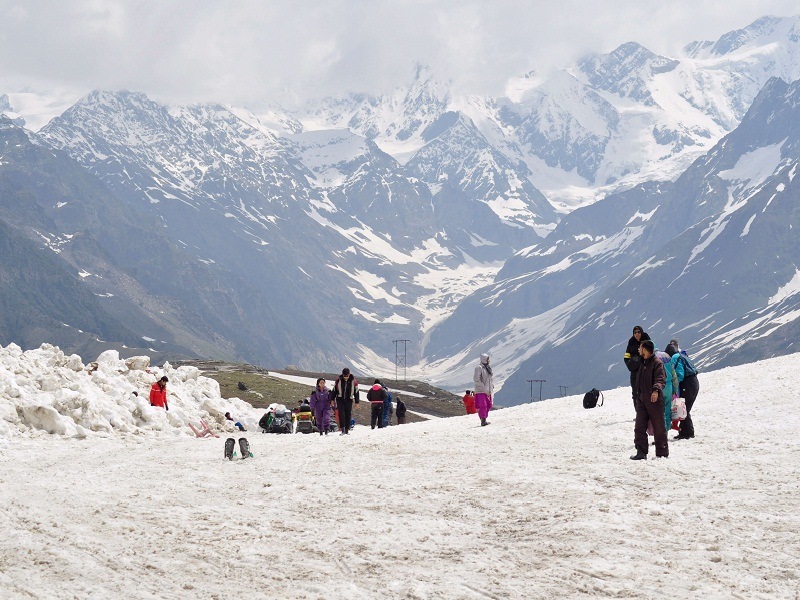 Himachal Pradesh, the abode of snow, is located in the western Himalayas in India. 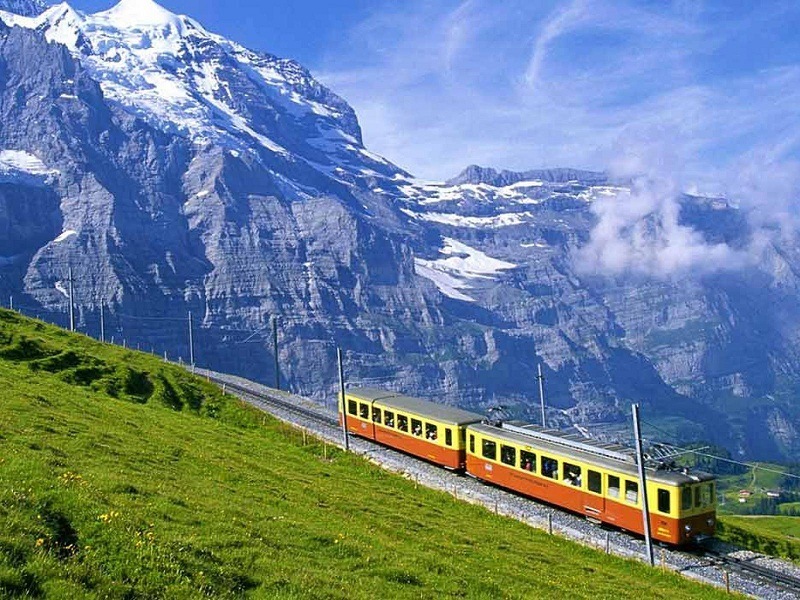 Shimla is its capital and among the most visited places in Himachal tour. The state is covered with immense natural beauty and is one of the most popular tourist places in India. Himachal Pradesh is blessed with some of the most spectacular and beautiful landscape with mighty snow peaks, deep gorges, lush green valleys, misty woods, fast flowing rivers, enchanting lakes and flower filled meadows, making it a popular honeymoon destinations in India. Owing to the huge production of apples, Himachal Pradesh is also known as the ‘State of Apples’. The toy train between Kalka & Shimla is a special attraction and is among the UNESCO World Heritage Sites. Himachal Tourism is a combination of multiple romantic destinations with unparalleled beauty. Shimla, Manali, Dharmasala, Dalhousie and Kasauli area the top places to visit as part of Himachal 6 day trip and Himachal 7 day tour. Renowned as the Queen of Hill stations, Shimla is a popular honeymoon destination in Himachal Pradesh and also one of the well-known Tourist Places near Delhi. It’s picturesque surroundings and chilling weather has fills the air with love. Manali is famous for its breathtaking views, gorgeous roads by the river Beas and exotic experiences it has to offer to the newlyweds. While the picturesque valleys of Kullu and Kangra are a riot of colours. There are also great opportunities for trekking, mountaineering, fishing, river rafting, skiing and paragliding. Dalhousie is another beautiful hill station with abundant natural charm, peaceful atmosphere and pleasant climate makes it one of the best places for honeymoon in Himachal Pradesh. India’s Golden Triangle is a tourist circuit which comprising the three famous heritage destinations of Delhi, Agra and Jaipur having grandeur, glory & history. Golden Triangle Tour is the most popular tourist circuit in India and also one of the top honeymoon destinations in India. Golden Triangle India circuit is the most sought after honeymoon package. The trip usually starts from Delhi moving south to the site of Taj Mahal at Agra, then west, to the desert landscapes of Rajasthan. These sites are normally visited as part of Golden Triangle 5 day trip and Golden Triangle 6 day tour. Delhi, the capital city of India, makes up one of the cornerstones of the Golden Triangle in the country’s north. The India Gate, Red Fort, Jama Masjid, Chandni Chowk, Qutub Minar, Jantar-Mantar, Laxmi Narayan Temple, Akshardham Temple, Lotus Temple and many more are worth seeing as part of Delhi Tourism. 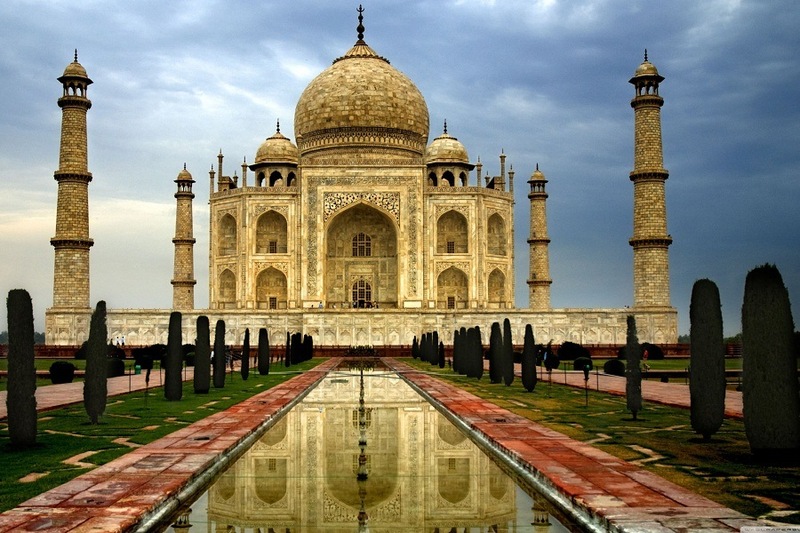 The city of Agra is home to the Taj Mahal, the eternal monument of love. The city is not just known for its historic significance, but is also termed as some of the most romantic honeymooning cities in India. Agra Fort and Fatehpur Sikri are the top places to visit during Agra Tour. Jaipur, the picturesque capital of Rajasthan, is one of the most romantic places to visit in India. Jaipur Tourism is a mix of marvelous and well preserved hill forts, royal palaces, temples, gardens and other specimens of Rajput architecture. Visit to Amber fort, City Palace, Jantar Mantar, Hawa Mahal, the ambling camels and cheerful people in multi-hued costumes will make Jaipur trip a memorable one. Jammu & Kashmir, also referred to as the ‘Paradise on Earth’ due to its undulating beauty and scenic location. Srinagar is the largest city and the summer capital of the Indian state of Jammu & Kashmir. The state has been blessed with amazing natural beauty with snowcapped mountains, valleys and meandering rivers, making it one of the top tourist places in India and also one of the most famous honeymoon destinations in India. There are many places to visit during Jammu & Kashmir 6 Day Tour and Jammu & Kashmir 7 Day Trip. J&K Tourism is known for its extravagant hospitality which offers unforgettable memories to the travellers. Srinagar is a paradise in every sense of the word. The lush valleys, sparkling lakes, high mountains and picturesque scenery make it a perfect honeymoon destination. 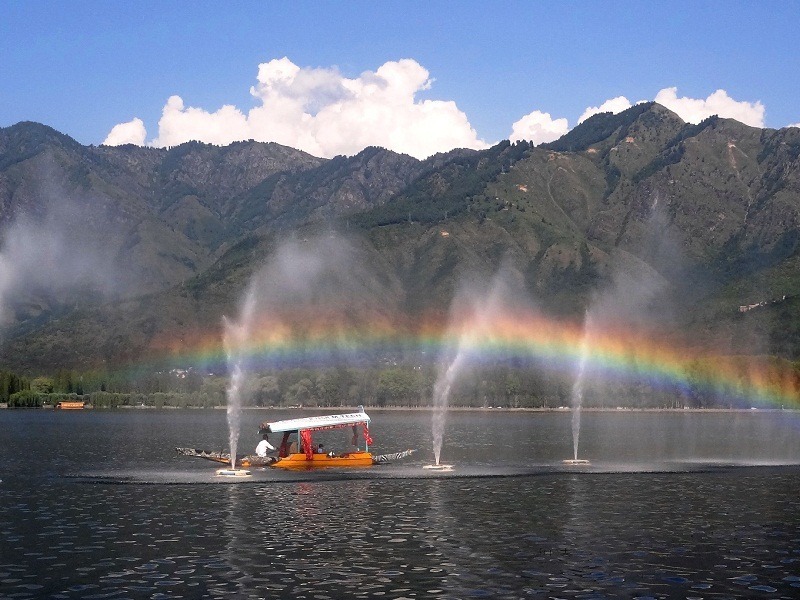 Dal Lake, Mughal Gardens, Shankaracharya Temple, Wular Lake, Nagin Lake, Jama Masjid, Hazratbal Mosque, Nishat Bagh, and Dachigam Wildlife Sanctuary are the must visit places during Srinagar tour. Srinagar is also home to Asia’s largest tulip garden. Living in the houseboats and enjoying the nature’s bounties all around is a magnificent attraction for many tourists. 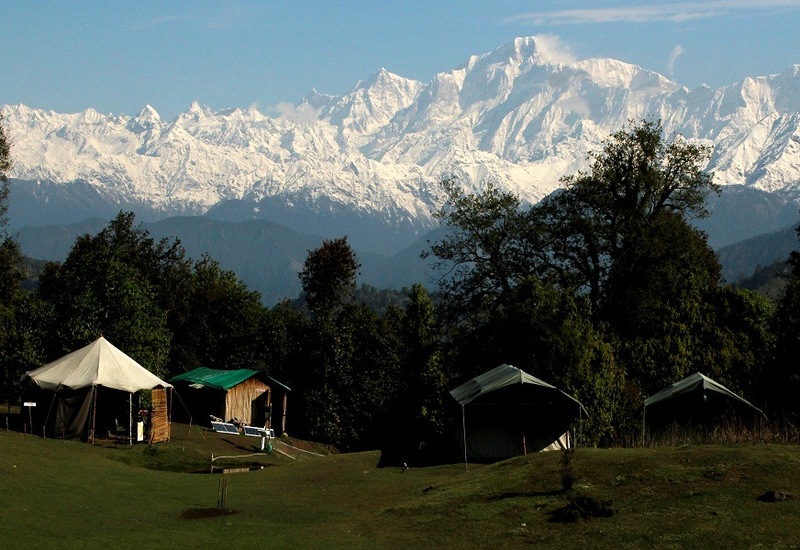 It is among the top hill resorts in India and also one of the most beautiful summer getaways in North India. 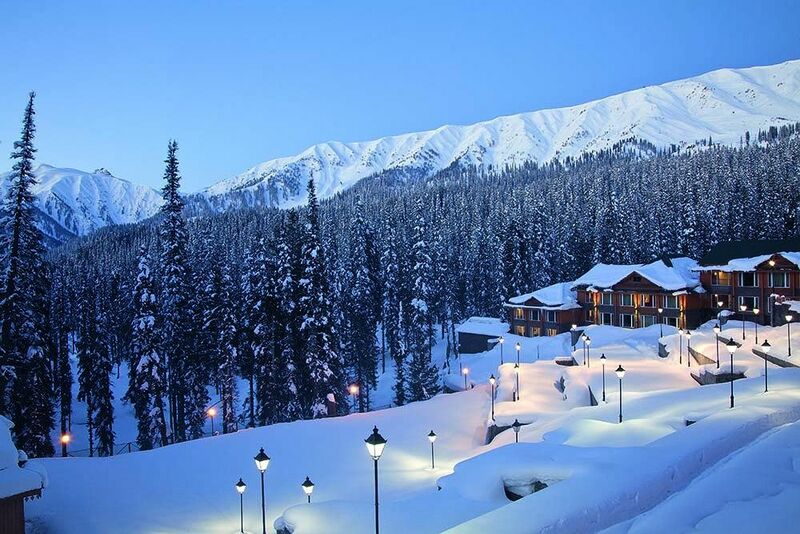 Gulmarg is a picturesque hill town with full of scenic locations, adventure sports and romantic hideouts. 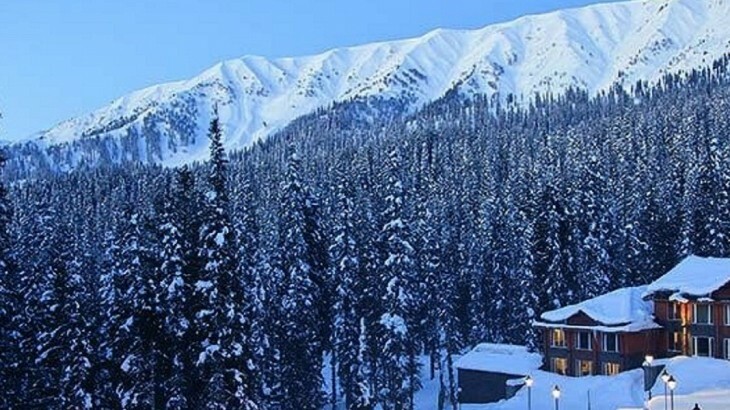 It also serves as one of the best skiing locations in India. Rajasthan, the land of Kings, is the largest state in India which has an incredible magical feel and romantic touch on account of its magnificent forts and golden sandy desert. Rajasthan is one of the most popular tourist destinations in India and also one of the best honeymoon destinations in India for both domestic and international tourists. The magical Rajasthan tourism gives tourists an opportunity to explore its unique heritage, colourful culture, thrilling desert safaris, glistening sand-dunes, lush forests and exotic wildlife. Every third foreign tourist visiting India also travels to Rajasthan as part of the Golden Triangle Tour. Endowed with natural beauty and a great history, Rajasthan has a flourishing tourism industry. The palaces of Jaipur, lakes of Udaipur, and desert forts of Jodhpur, Jaisalmer are among the most preferred Tourist Places in Rajasthan for tourists as part of Rajasthan 6 Day Trip and Rajasthan 7 Day Tour. The city of Udaipur situated on the banks of Lake Pichola is filled with white marbled palaces and architecture that will take you to the era of the Rajputs and makes Udaipur one of the sought-after honeymoon destinations in India. An evening in desert, watching the sunset and listening to folk music and watching colourful dancers in Jaisalmer is a memorable experience. 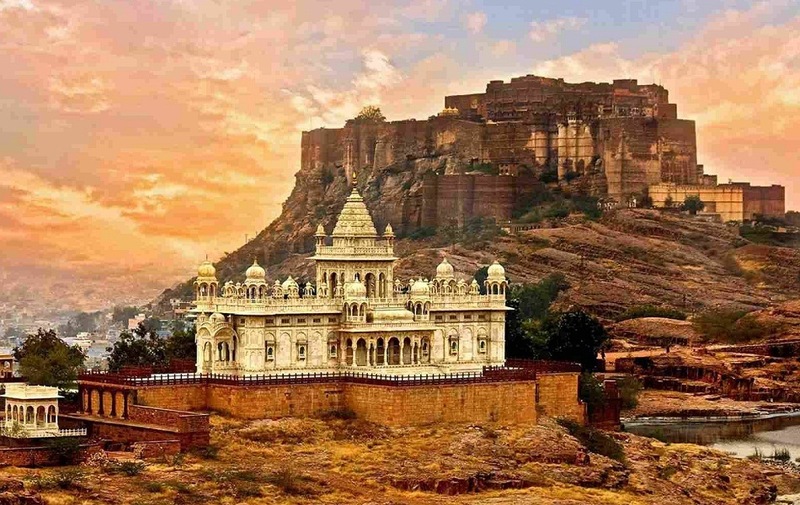 Jodhpur is a medieval town that served as the capital of the Rajput Kingdom of Marwar. The town is known for its several majestic forts, palaces, lakes and temples with some of the most tourist friendly people in India. 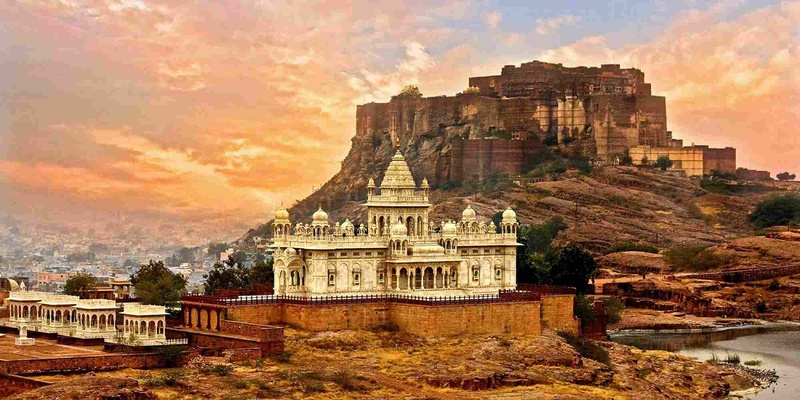 Jodhpur is also known for its rich culture and cuisine that makes it a top spot for a romantic honeymoon. Uttarakhand, also known as the ‘Switzerland of India’, is a beautiful state located in the foothills of majestic Himalayas in the northern region of India. Dehradun is the capital city of the state, well known for its beautiful valleys and renowned educational institutes. Uttarakhand place is an ideal combination of the chilly breezes, sky-touching mountains, emerald green valleys and softly rappelling rivers. Uttarakhand is one of the most popular tourist places in India and also one of the top honeymoon destinations in India. The Uttarakhand Tourism gives tourists an opportunity with scenic hill stations such as Nainital, Mussoorie, the ski resort town of Auli and Corbett National Park as part of Uttarakhand 7 day trip and Uttarakhand 8 day tour. The scenic hill station of Nainital is an ideal honeymoon destination with mesmerizing hills and beautiful lakes. Mussoorie is one of the best Hill Stations near Delhi and is famous for romantic getaways and honeymoon travel. Kausani, Bhimtal and Lansdowne are among other beautiful and charming hill stations that will make your honeymoon truly a memorable and romantic experience to savour for the lifetime. Besides breathtaking hills and snowcapped mountains, this wonderful state is also well known for its adventurous activities including trekking, river rafting, skiing, and mountaineering. The ski resort town of Auli is one of the most popular ski resorts in Asia with breathtaking views of snowcapped mountains and world class skiing opportunities. For wildlife lovers and nature lovers, visit to Corbett is truly a delightful experience during Uttarakhand tour. Ooty and Kodaikanal are the two fascinating hill stations situated in South Indian state of Tamilnadu. These are among the popular summer destinations in India and also one of the most famous honeymoon destinations in India. Also known as Udhagamandalam, Ooty is often referred to as ‘Queen of hill stations’. Situated at an altitude of 7,440 feet, it is the capital of Nilgiris district in the state of Tamilnadu. A land of picturesque picnic spots & lakes, it was a popular summer getaway for the British during colonial days. 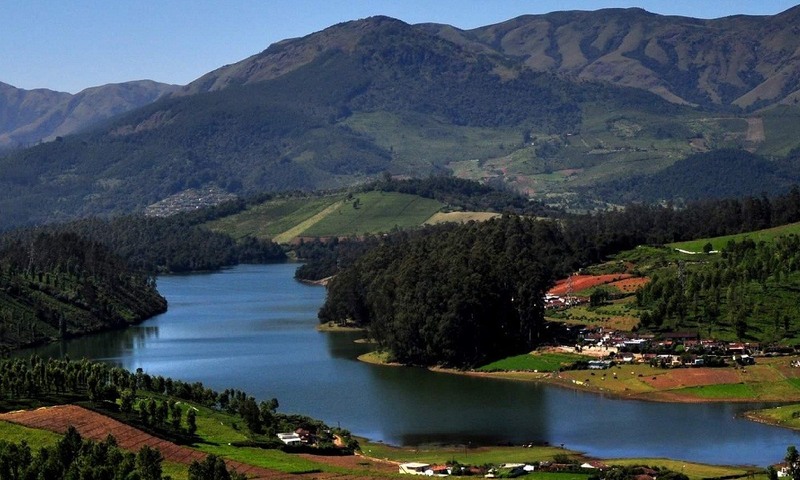 Ooty Lake, Botanical Garden, Rose Garden, Wenlock Downs, Pine Forest, Doddabetta Peak, Emerald Lake, Pykara Dam, Pykara Falls, and Avalanche Lake & Sanctuary are the top places to visit during Ooty tour. Take a ride on the Nilgiri Toy Train and enjoy the views of the mountains as part of Ooty 2 day trip and Ooty 3 day tour. The sanctuaries of Mudumalai and Bandipur provide ample opportunity to explore the wildlife of Western Ghats. Kodaikanal, often referred to as the ‘Princess of Hill stations’ is located in Dindigul district of Tamil Nadu. Kodai is a beautiful hill station at an altitude of about 7000 feet on the southern tip of upper Palani hills and is one of the popular places to experince Tamilnadu Tourism. It has several scenic natural attractions which are enjoyed by visitors and make it a popular romantic destination. Kodai Lake, Bryant Park, Coaker’s Walk, Bear Shola Falls, Silver Cascade, Pillar Rocks are the popular places to visit as part of Kodaikanal 2 day trip. Ooty & Kodaikanal are the best Honeymoon Places to include in Tamilnadu packages. Darjeeling is a beautiful hill town in the state of West Bengal. Situated an elevation of 6,700 feet, Darjeeling is one of the best hill stations in India and also one of the best honeymoon destinations in India. It is surrounded by tall Himalayan Mountains and beautiful valleys. Darjeeling Tourism is renowned for its tea plantation, fairy tale ride on the Darjeeling Himalayan Railway and the spectacular views of Kanchenjunga. Ghoom Monastery, Tiger Hill, Senchal Lake, Batasia Loop, Mahakal Temple, Bengal Natural History Museum, Happy Valley Tea Gardens, and Himalayan Zoological Park are the top places to visit as part of Darjeeling 2 day trip and Darjeeling 3 day trip. Gangtok, the capital of Sikkim, is a hill town and one of the most popular tourist destinations in India. It is situated on the lower slopes of the Himalayan range at an elevation of 1,650 m. Gangtok Tourism is known for its scenic beauty and striking views of Mount Kanchenjunga, the third highest peak in the world. There are many tourist places in Gangtok and is well-known as the land of monasteries. Himalayan Zoological Park, Kanchenjunga National Park, Tsomgo Lake, Saramsa Garden, Ganesh Tok View Point, Shingba Rhododendron Sanctuary, Nathula Pass, Seven Sister Waterfalls, Changu Lake, Enchey Monastery, Rumtek Monastery, and Yumthang valley are some tourist places to visit as part of Gangtok 3 day tour. Darjeeling & Gangtok are the most romantic Honeymoon places in India. Lakshadweep is an archipelago located 200-400 km west of the coast of Kerala in the Arabian Sea. 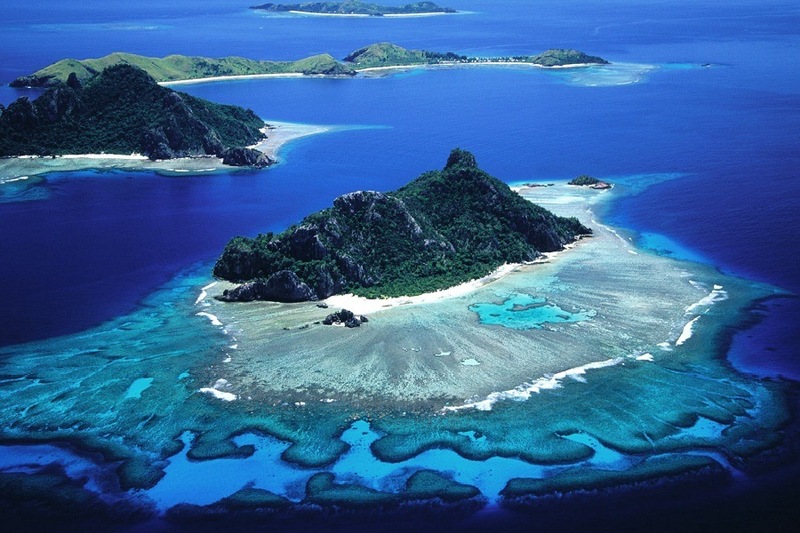 The archipelago consists of 36 main islands, many smaller islands, coral atolls and coral reefs. 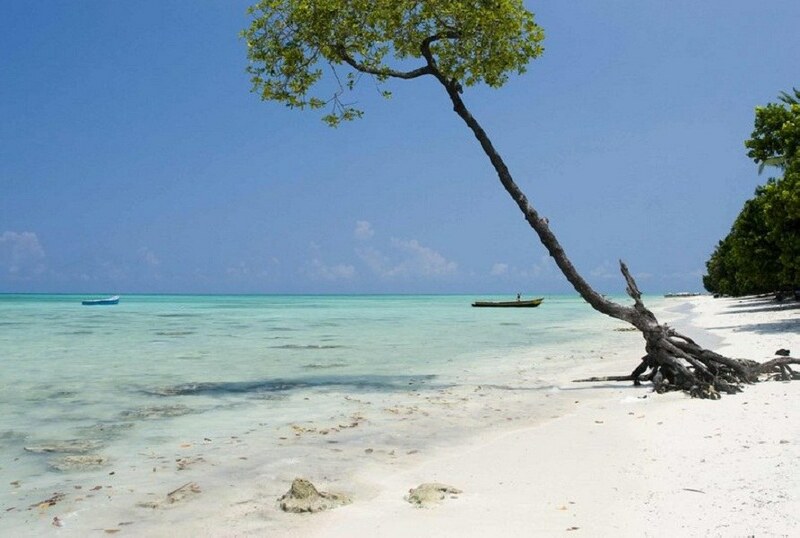 Only ten of the Lakshadweep islands are inhabited and tourism is an emerging industry. Earlier Lakshadweep referred to the three archipelagos in the Indian Ocean – which are Lakshadweep, Maldives and Suvadives. Blessed with such majestic natural vistas, Lakshadweep is one of the most secluded beach destinations in India and also one of the most honeymoon destinations in India. Kavaratti, the administrative headquarter, is the most developed island and also the tourist hub of Lakshadweep tours. Lakshadweep is the smallest union territory of India and has the most exotic and uninhabited beaches. Ujra mosque, Marine aquarium, Kalpeni, Minicoy, Bangaram and Agatti are the important places to visit as part of Lakshadweep 5 day tour and Lakshadweep 6 day trip. The golden sandy beaches, crystal clear water of the Arabian Sea and the tall coconut trees bordering the shores of the deep blue sea of Kavaratti captures the imagination of the each & every couple. Agatti is the gateway to Lakshadweep Island Tourism with the only airport of the archipelago. Bangaram is the only uninhabited island open to tourists. Foreign nationals are allowed only in Kadmat, Bangaram and Agatti islands. Lakshadweep is suitable for beach activities and water sports. All, Destinations Honeymoon Destinations, Honeymoon Destinations in India, Honeymoon in India, Honeymoon Places in India, Romantic Places in India. permalink.